Authentic recipe | Retired? No one told me! I keep all of my bits of stale bread in the freezer until I have enough for a pudding so no waste in this kitchen. Put bread in a large mixing bowl and cover with water or mix or milk and water to soak. Nanny poured the melted butter in and Lily did the dried ingredients. and give a good stir… Next, it will be the Christmas Puddings as we only have 118 sleeps. I like lots of spice and fruit so if I think it needs more at this point then I add it is one of those dishes where you can add what you like for example if I have had some other fruit left over as in cranberries or blueberries I would add them. Put in hot oven 180 degrees for 1 hour if top seems to be browning too quickly then reduce heat a little. It should rise up a little by end of cooking. Remove from the oven and sprinkle with sugar. This is when I invoke my rights to cooks perks and have the 1st bit..to try of course as it’s yummy hot and straight from the dish. It is also great served with custard or cold if there is any left..haha. It also uses up all your bits of stale bread. This entry was posted in A taste of old England, Bread Pudding, Cooking from scratch, Grandma's recipe for Bread pudding, Uncategorized and tagged Authentic recipe, Bread, Bread Pudding, butter, Mixed fruit, Spices on August 30, 2018 by CarolCooks2. Cabbage … I actually love cabbage and there are so many different varieties and it can be eaten cold, steamed, boiled, sautéed, pickled so many ways to prepare the humble cabbage. Although I will admit that the cooking of cabbage has improved as I remember my Nan and my mum used to cook it to death but did we love the cabbage water with a bit of vinegar and pepper in it to us it was a real treat…Does anyone else remember that??? I won’t bore you with any more coleslaw recipes as cabbage makes a lovely slaw and there are so many dressing and additions you can make to make slaw but I think something different today. This entry was posted in Carol's Cookery column on Smorgasbord, Cooking from scratch, Healthy Eating, Spicy Red Cabbage, Uncategorized, White Cabbage and tagged Authentic recipe, Burritos, Cabbage wraps, Lasagne with cabbage, Pak dong, Recipes, Spicy Red Cabbage on August 29, 2018 by CarolCooks2. 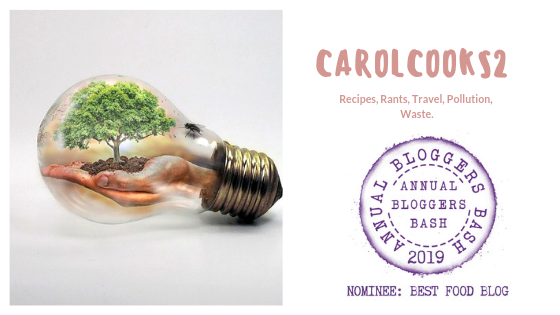 Smorgasbord Blog Magazine – The Food and Cookery Column with Carol Taylor – Carol Cooks #Rice – Savoury and Sweet. Welcome I hope you enjoyed the salads last week and your sunny weather is still continuing. This week I thought we would have a change as rice is one of the staple foods here as well as noodles. Rice comes in so many different varieties here and colours … Many different types of white rice which includes Jasmine rice, Brown rice also comes in many different types and we get the glutinous rice which doesn’t as the name might suggest contain Gluten it means it is sticky rice and as is all rice in its natural form gluten free and of course not forgetting the wild rice and the black rice which is one of my favourites. This entry was posted in A Taste of Thailand, Carol's Cookery column on Smorgasbord, Cooking from scratch, Rice, Uncategorized and tagged A taste of India, Authentic recipe, Authentic Thai Recipes, Chettinad Masala, Mango with coconut rice, Pineapple fried rice, Recipes, Rice on July 18, 2018 by CarolCooks2. After living in Vietnam, specifically Ho Chi Minh City, for about 3 years, my family and I fell in love with Vietnamese food. It is a common sight to see piles of fresh vegetables and herbs on top of a bowl of noodles or rice. One of such healthy dishes is of course the Vietnamese Noodles with Lemongrass Chicken!! Low in fat, loaded with lots of fresh salads, and showered with the Nuoc Cham dressing. The zingy complex flavour from the fish sauce and lime makes the dish so appetising and awesome!! One of the key ingredients in Vietnamese cooking is the Vietnamese Fish Sauce, so try to invest in a good bottle as it comes in handy. If you love this dish, you may wish to try some of our other Vietnamese Recipes. This entry was posted in Authentic recipes, Cooking from scratch, Uncategorized, Vietnamese Noodles and tagged Authentic recipe, Bun Ga Nuong, Chicken, Noodles on June 15, 2018 by CarolCooks2. Welcome to Fruity Fridays and today I am showcasing the Cranberry… Cranberries always remind me of Christmas I think it is the smell when I am making Cranberry sauce, the cinnamon, spices and the orange all together invoke those Christmas memories but of course, cranberry sauce can be eaten with any roast meats, cold meats, with cream cheese so many ways. My mum always used to swear by Cranberry juice if anyone has a urinary tract infection, however, the latest research show that capsules are more effective as the cranberry juice you buy does not have the same concentration of antioxidant proanthocyanidins. They are low in calories and high in Vitamin C, A and K so a little gem of a berry which packs a healthy punch. In a homemade trail mix dried cranberries with unsalted nuts and seeds a nice quick to make little snack. If you are making muffins or scones then a handful or two of cranberries adds that little extra zing and helps cut through the sweetness of cakes. There are also two ways that cranberries are harvested. Many people and that included me for a while think that cranberries grow underwater but they are not they grow on boggy ground which is flooded with up to 18 inches of water the night before the berries are to be harvested. Then water reels, nicknamed “eggbeaters,” churn the water and loosen the cranberries from the vine. Each berry has a tiny pocket of air that allows it to float to the surface of the water. These are then collected and it is these cranberries which are used in the cranberry products we buy in the shops. Fresh cranberries are harvested using the dry method and it is the method to pick those beautiful red berries we see fresh and beautiful in the stores or in the markets. I have noticed the difference when I use fresh cranberries when making sauce or stuffing that the fresh berries do not have the deep red colour of the frozen ones when cooked… I do however prefer the taste of the fresh berries although I do keep a bag of frozen cranberries in my freezer as a backup or to use when fresh cranberries are out of season. These little puffs don’t take long to make so if I need a quick snack if visitors pop in around sundowner time then these don’t take long. I always keep a little box of already cut puff pastry squares which I can just pop in the oven and I always have a container of cranberry as we like it in a sandwich if we have cold chicken or pork and it is lovely with hot meat or pork schnitzels which I just top with some cream cheese and a spoonful of cranberry sauce. I pack of frozen Puff Pastry, thawed. 125 gm(4 oz) of Camembert Cheese. 1 sprig of thyme…leaves picked. Put onto baking trays making sure you space well apart. Brush top with beaten egg. Chill in the fridge for 20-30 mins. Put into pre-heated oven 180 or gas mark 6. Cook for approx 10 minutes or until golden brown. Slice Camembert into equal sized pieces and put one in the centre of each pastry square. Top with a tsp of cranberry sauce. Put back into the oven until cheese has melted. This next recipe is one I use if I am rolling and stuffing a piece of Pork and I have stuffed chicken breasts as well using the same stuffing. Rub for the Pork Loin. 4 peeled and chopped Granny Smith Apples. Cut a pocket through one end of the tenderloin. Don’t slice through the other end. Season in and out properly with salt and pepper. Mix together the ingredients for the rub and when mixed rub into the pork loin , cover and put in the fridge for an hour. While the Pork is absorbing all those lovely flavours prepare the stuffing mix. Finely chop the Red Onions and cook in Olive oil until soft. Add Apples and ginger, stir and cook for 5 mins.Add remainder of ingredients stir to combine and simmer gently until mixture thickens and reduces. Cool slightly before stuffing the loin. Stuffing the Loin was quite messy the first time I made this. I tried a plastic sauce bottle which was ok..but now I use an icing bag which is much easier and quicker. Stuff loin and then cover with bacon slices.Put tin foil on top as bacon cooks very quickly and remove foil about ten mins from end cooking to brown bacon. Rest loin for 10 mins before carving. Once rested, carve and serve we made the gravy from the meat juices and pork stock and it was lovely. Served with vegetables and crispy roast potatoes..mmmm. This versatile little berry can be used to make lovely little potato pancakes. Peel and grate 2 russet potatoes; squeeze dry. 1 tsp kosher salt and a freshly ground pepper to taste. Form into 2-inch pancakes and fry in 1/4 inch vegetable oil ( or oil ) of your choice (adding more as needed) in a large skillet over medium-high heat until golden, 6 to 8 minutes. N.B. The original recipe added sugar I didn’t we don’t like added sugar in our savoury food …I know cranberries are quite sour but mixed with everything else and eaten with meat or fish with vegetables we find them very nice and don’t think sugar is necessary. Finely chop 2 cups cranberries with 1/4 cup sugar in a food processor. Toss with 1/3 cup each chopped cucumber and cilantro, 1/4 cup chopped white onion, 1 minced jalapeno, 1 tablespoon lime juice and 1/2 teaspoon kosher salt. Did you know you can also get Cranberry Beans they are really pretty although they go brown when cooked? Cranberry is an odd name for a lovely, versatile bean. Thought to originally come from Colombia, the bean is now grown around the world and has been known by many names such as Madeira, Borlotti, Tongues of Fire and Wren’s Eggs. Cranberry beans are soft and dense with a velvety, rich texture. They are a thin-skinned bean which produces a rich bean broth and is the natural friend of Pasta e Fagioli which is a lovely bowl of pasta and beans with Italian sausage. I hope you have enjoyed these cranberry recipes as it is a lovely fruit which can be eaten dried or used frozen or fresh when in season. This entry was posted in Apple and cranberry stuffed Pork Loin, Cranberry, Cranberry Beans, Fruity Fridays, Uncategorized and tagged Authentic recipe, Cooked from Scratch, cranberries, salsa on June 9, 2018 by CarolCooks2.